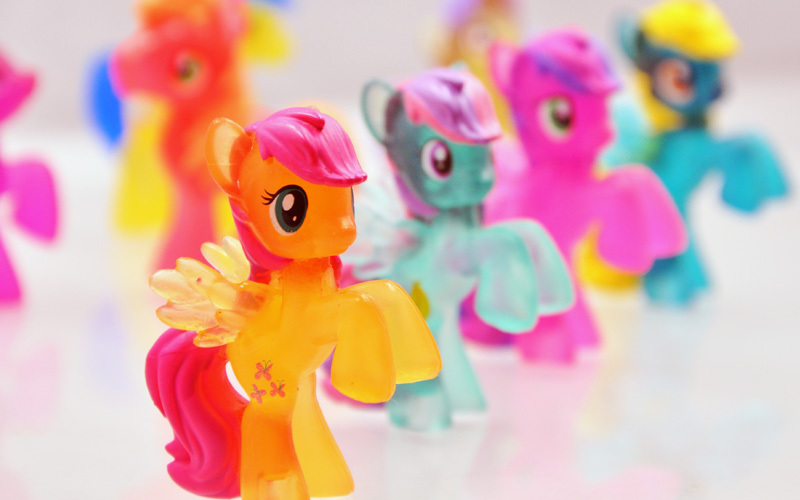 Attention all My Little Pony fans: these awesome 2" PVC mini figures of all your favorite My Little Ponies will put a big smile on your face! 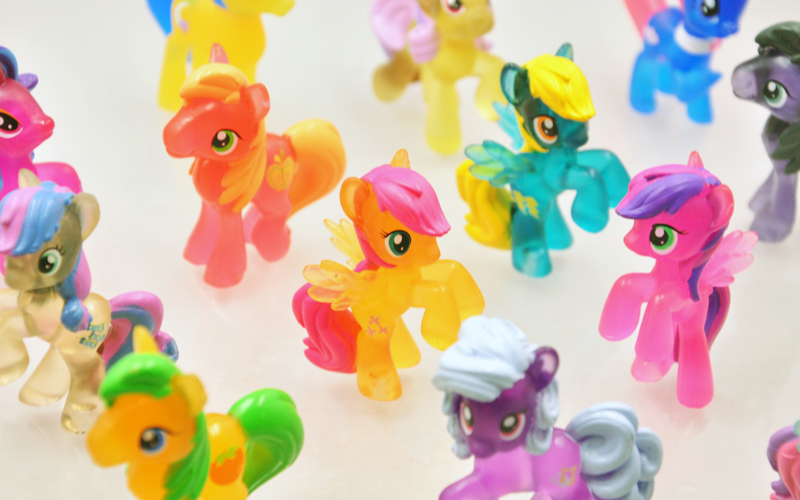 From Applejack to Fluttershy, each pony is adorably sculpted and beautifully created in vibrant translucent color. 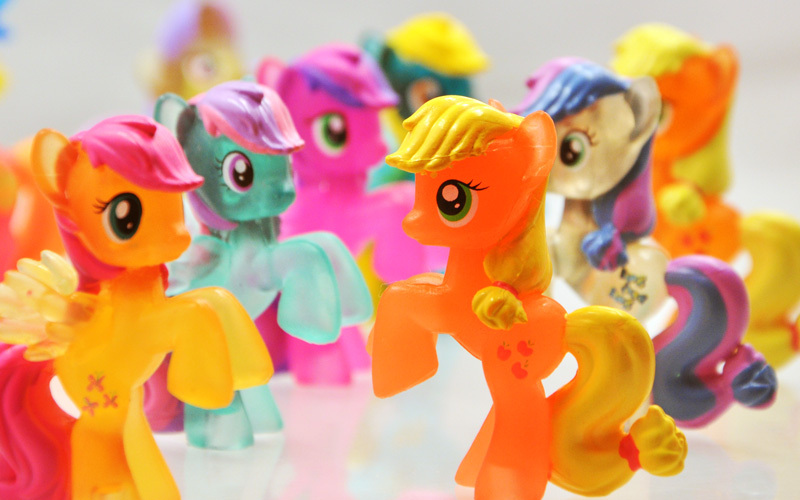 This set includes over 15 different ponies and at just $2 retail you can't afford NOT to collect them all! Measurements: Pony measure approx. 2"